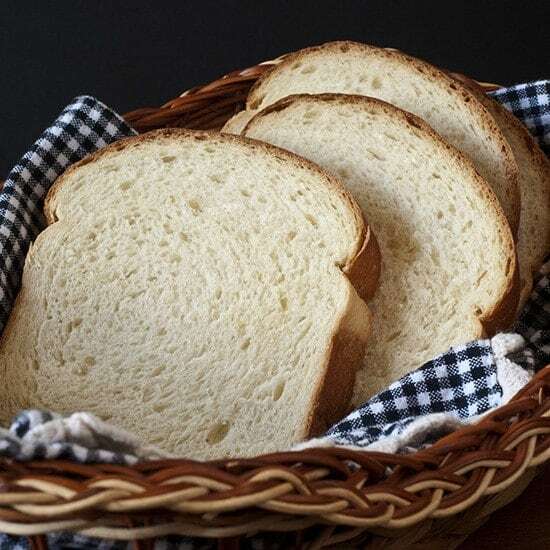 Sweet-Milk Soft White Bread is a finely-textured, soft, white, loaf of bread. The recipe calls for mixing, kneading, and proofing in a bread machine. After that, things get interesting. 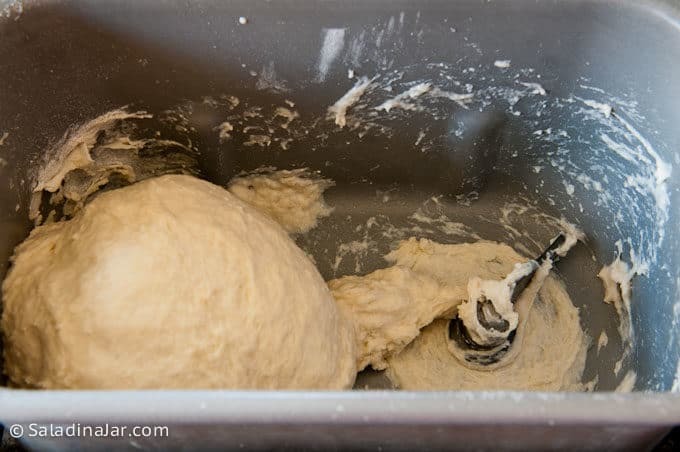 The dough is shaped by hand, allowed to rise again, then baked in a conventional oven. It’s the best of both worlds and definitely worth the splurge. No worries if you don’t have a bread machine. 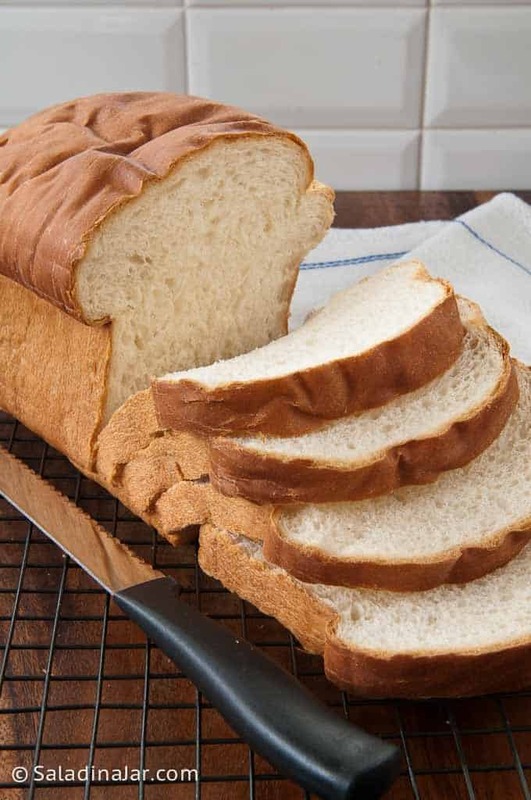 Follow the directions in the notes to make this loaf by hand or with a stand mixer. 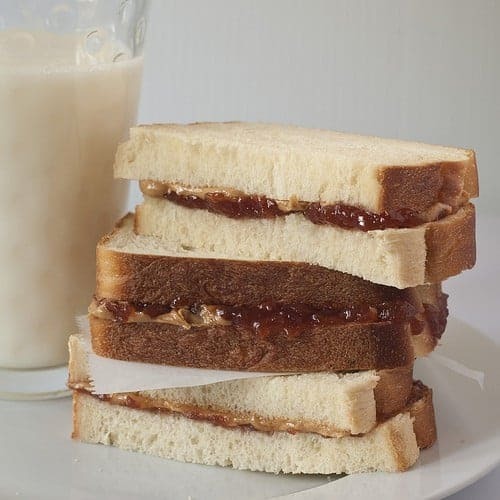 Who counts white bread as one of their guilty pleasures? Me. me. me. 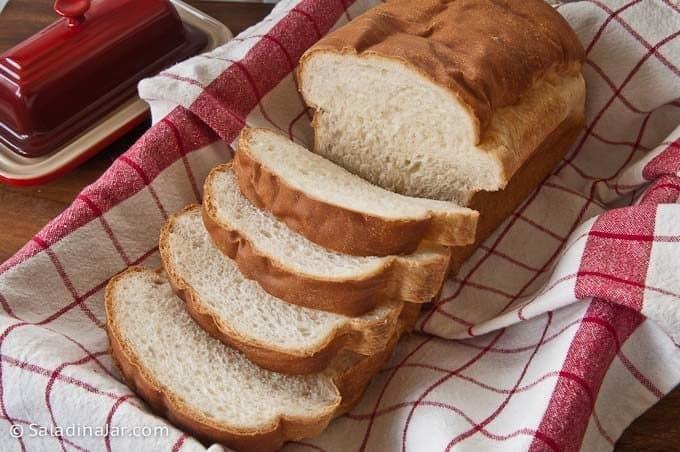 If you’re with me, you will love this soft white bread made in a bread machine but baked in a conventional oven. The close texture makes it an excellent choice for sandwiches. Once you make this recipe, you will quickly see why we’re talking about this. Only 1/2 cup of sweetened condensed milk is needed for one recipe. That means you’ll have a lot leftover. Yes, you can freeze sweetened condensed milk in the freezer for up to three months. You can leave it in the refrigerator if you think you can use it within 3 weeks. That’s OK. Don’t go any smaller than noted in the recipe, but you can go a little bigger. However, pay attention and don’t let your bread rise more than double its original size. I recommend you set your timer for halfway through the cooking time. Check the bread. Most likely it is already golden brown on top but a long way from completely baked. Shield the loaf by draping foil loosely over the dome. How do you tell if your bread is ready to take out of the oven? Check it with a quick-read thermometer. The temperature in the middle of the loaf should read 190 degrees F. You run the risk of the loaf falling or caving in on the sides if it is still doughy. Maybe. It depends on so many different factors (e.g. the brand of the bread machine, humidity, type and brand of flour, temperature in the room, etc. ), but you might get lucky and get a decent loaf of bread. 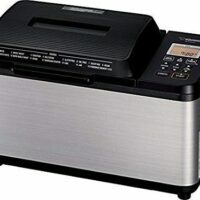 Most of the recipes on this blog were originally written for baking the dough in a bread machine. However, because of the variability of the previously mentioned factors, I find it much more reliable to bake the bread in my oven. I want perfection in exchange for all those calories. Place all ingredients in bread machine in the order listed in recipe. Choose the dough cycle. Check dough periodically to make sure the texture is not too wet or too dry. 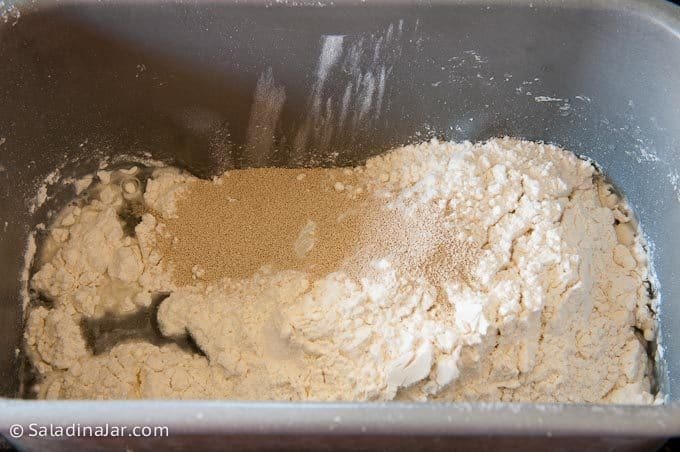 When dough cycle is complete, remove the dough onto a floured surface to shape. 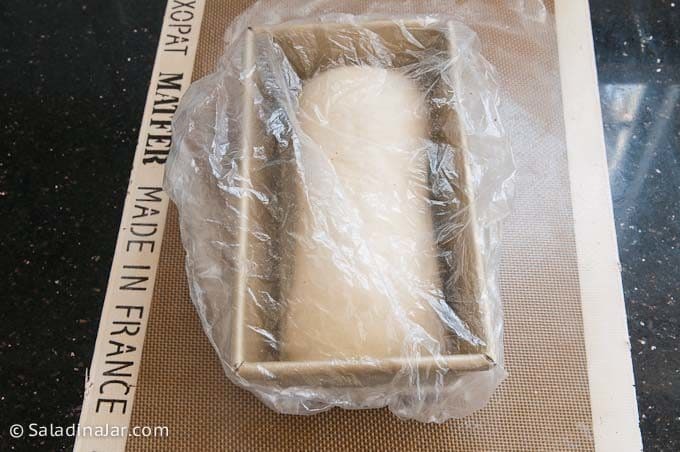 Roll out dough into a rectangle shape with the long side approximately 2 inches longer than the length of your pan. Be sure to “smoosh” out the air bubbles around the edges. Roll up starting with the long edge. 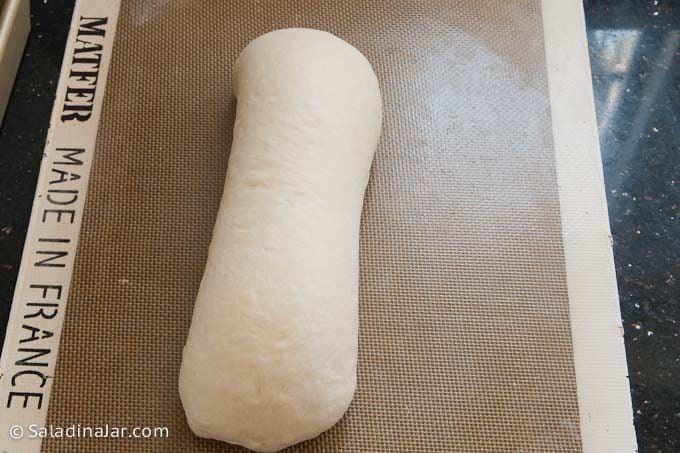 Tuck the ends under so your loaf looks rounded. 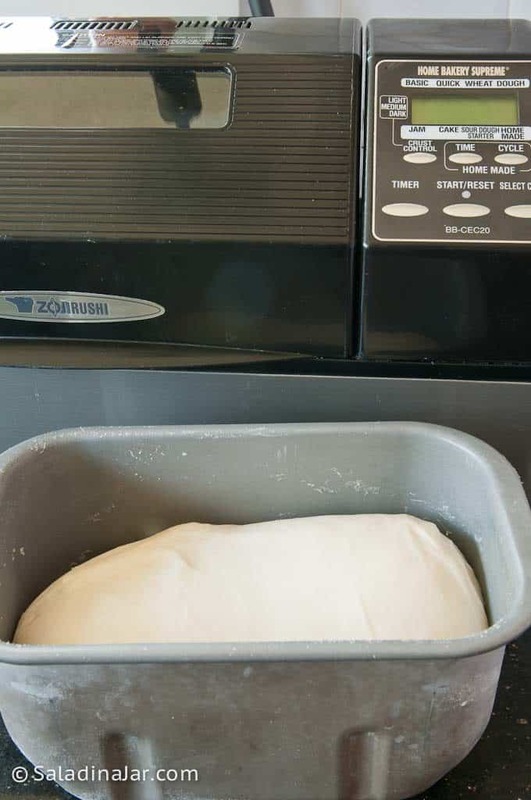 Place dough into your bread pan and cover. (I like to use a cheap shower cap.) When doubled in size, place into preheated oven and bake at 375 degrees F for 35-40 minutes. Cover with foil halfway through if the top is getting too brown. Want to see more bread recipes like this? Scroll through my Pinterest Board below. Click at the bottom to follow this board on Pinterest. 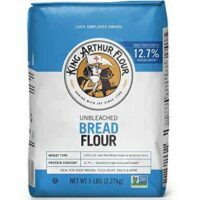 Add ingredients to bread pan in order listed. Select the Dough Cycle and start. Raise lid and check dough after about 5-10 minutes. Add flour one tablespoon at a time, if necessary, until dough reaches the correct consistency. It should come together in a ball that sticks to the side of the pan, then pulls away cleanly. If dough thumps against the side of the pan, add warm water 1 tablespoon at a time. If the dough is sticky and doesn't pull away from the side, add flour 1 tablespoon at a time until dough starts to form a slightly sticky ball. 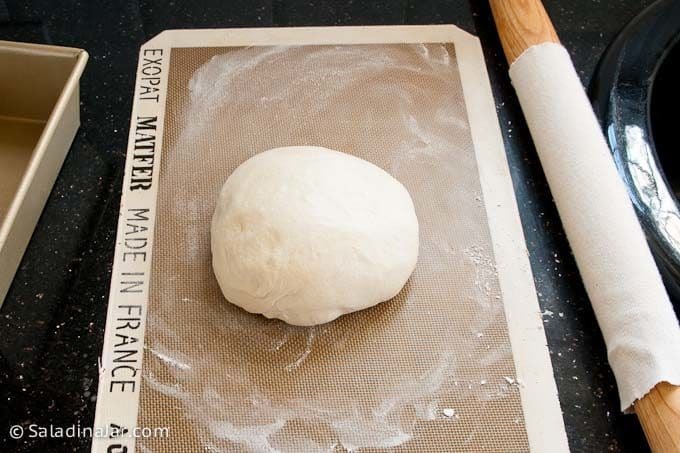 Remove dough from the pan at the end of the dough cycle and place onto a lightly floured board. Knead by hand a little bit to press out any large air bubbles. Roll into a rectangle approximately 9 x 11 inches. Roll up starting from the long end, and tuck ends to fit into greased 9 x 4-inch loaf pan. Let rise until dough doubled from its original size. Because this dough is a "high-riser," be careful not to let dough rise too much or it will cave in on the sides and/or the top. Preheat oven 15 minutes before you think it will be ready. Bake at 375 for 35-45 minutes. Interior should reach 190 degrees. Place a foil tent over bread halfway through baking to protect from over-browning. Allow cooling for 15 minutes before turning out to cool completely. Best if you wait at least two hours before slicing so loaf will hold its shape without squishing with the pressure of a knife. To make this recipe in a heavy-duty stand mixer, add ingredients to the bowl in the same order. Turn on low to mix until all ingredients are moistened. Using dough hook, turn speed to 2 or 3 and continue beating/kneading until the dough becomes smooth and elastic, about 5-10 minutes. Cover and allow to rise in a warm place. 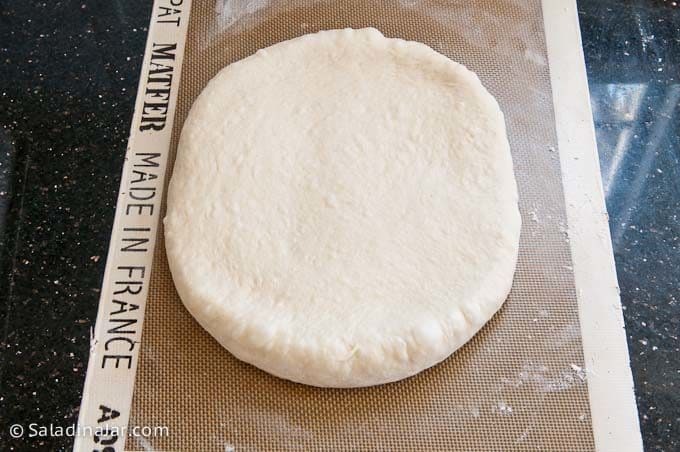 Deflate dough gently and shape as indicated in the recipe. 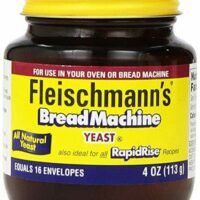 Please note: If you substitute regular yeast for instant or bread-machine yeast, you must dissolve it first before adding to the dry ingredients. Stir it into about 1/4 cup of the lukewarm liquid called for in the recipe. Let sit for about 10 minutes. Add to other wet ingredients and then add dry ingredients. Proceed as directed to knead and shape rolls. If your loaf has a tendency to rise too much before baking, decrease the yeast by 1/2 teaspoon. 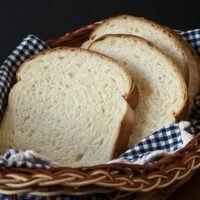 Sweet Milk White Bread was first posted in 2009, then updated in March 2019. The recipe is slightly adapted from The Bread Machine Magic Book of Helpful Hints by Linda Rehberg & Lois Conway.